Renda was reported missing by his wife, Rizzuto's sister, Thursday afternoon and his luxury vehicle was found on Gouin Blvd. W. not far from his home in the Cartierville area. The windows were open and the key was still in the ignition. Nick Rizzuto Jr., the son of Vito, was murdered last December, and Frederico Del Peschio a close associate of the reputed boss, was murdered last August. 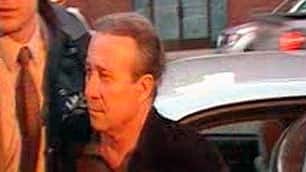 Vito Rizzuto is serving a 10-year sentence at a federal penitentiary in Colorado following his racketeering conviction involving the 1981 murder of three Bonanno crime family capos in New York City. Family patriarch Nicolo Rizzuto Sr. was scheduled to appear in court this morning on an impaired driving charge but the hearing was adjourned over safety concerns as reported by Paul Cherry for The Montreal Gazette.